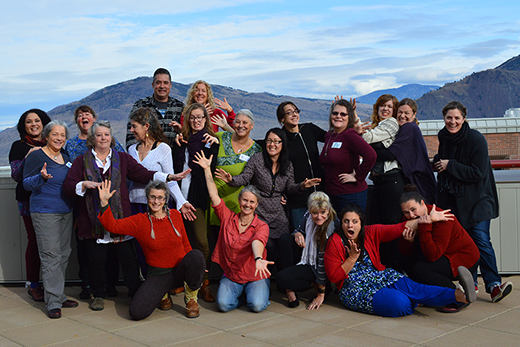 We just completed an inspiring week at the Arts Integration Learning Lab in Kamloops which was held from November 3 to 7, 2014. 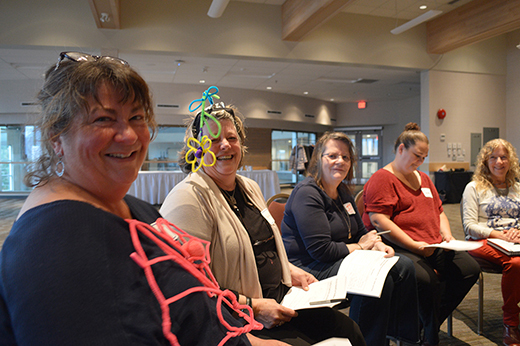 The five-day professional learning event, grounded in principles of arts integration, was designed to support artists' abilities to work with educators and students in meaningful and relevant ways. 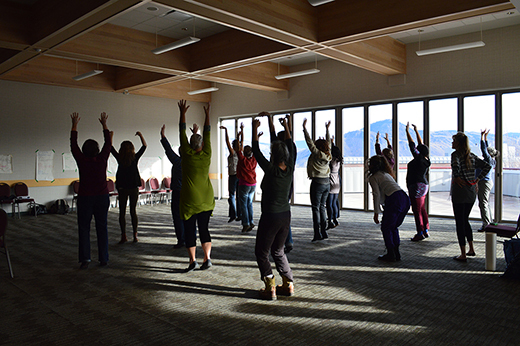 We had 17 artists attend from across the Interior region of BC, including Kamloops, Ashcroft, Kelowna, Summerland, Penticton and Quesnel. These artists represented a range of disciplines, from visual arts to theatre, music to interdisciplinary arts. 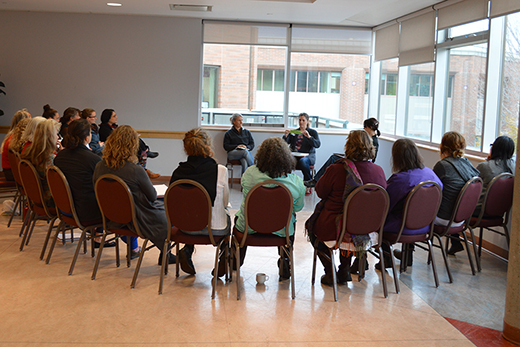 Throughout the week, artists had a chance to collaborate, present their own ideas and network with their peers. The facilitators, Ewa Sniatycka and Miriam Colvin, expertly worked with the group to create a safe and supportive space. 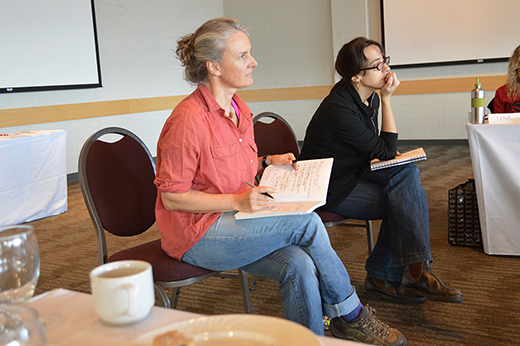 Through their approach, Ewa and Miriam modelled facilitation best practices and invited artists to open up their own artistic practices and explore the creative processes that link to curriculum and inspire curiosity. 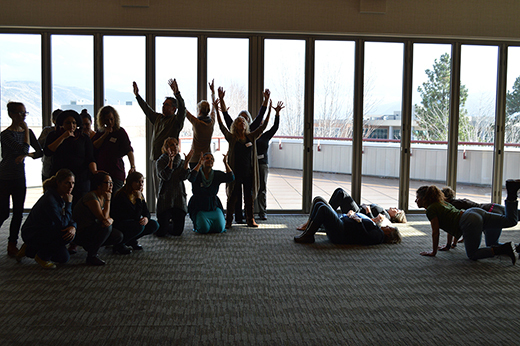 The days were filled with listening, observing, reflective journaling, drawing, movement, peer-to-peer sharing and fun! 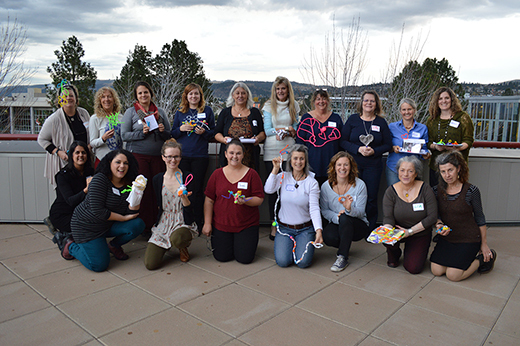 The tools and concepts that were shared were an invitation for artists to explore new ways of looking at how to connect with schools. 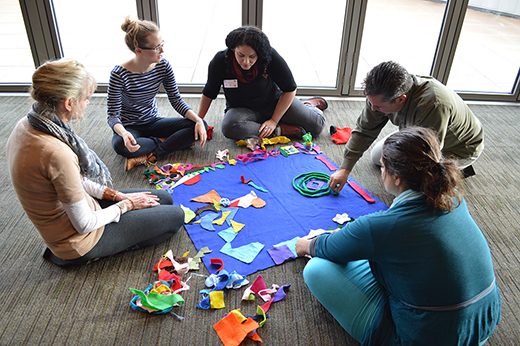 "I have new and exciting ideas for how to explore arts integration and employ mediums and work with partners that I had not considered before." 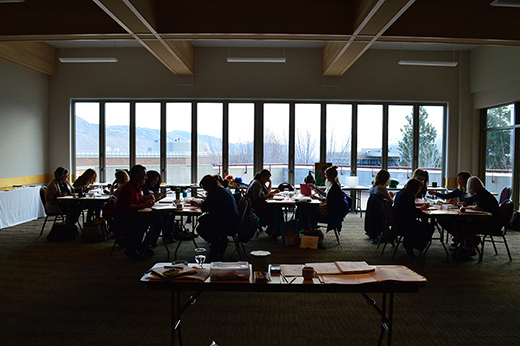 "This experience was a true gift - feeding my need to bring my art practice into the classroom. 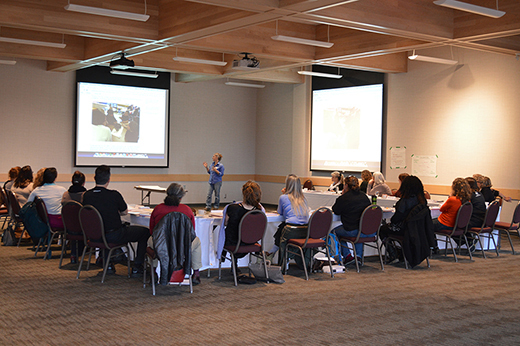 The support of the group, the facilitators was just the spark I needed. ArtStarts rocks!" "I learned through osmosis this week. You didn't tell me facts - you made me draw my own conclusions. I pondered and thought and was delighted in my own delayed closure. I hope my mind will always be open to really listen and ponder on all possibilities." "I am going to reach out to community and school contacts and better understand what matters." "I will be contacting every teacher I know! Probably tomorrow!" The week inspired a web of investigation, play and self reflection that will be resonating from some time to come. Thank you to Ewa, Miriam and the group of amazing artists for your passion and commitment to the arts and for embarking on this journey of learning alongside us.